American citizens got the chance to have their voices be heard, on Tuesday as elections were held all across the country, whether for new leaders, such as Governors in states such as Virginia or New Jersey, to voting for constitutional amendments, such as Texas. 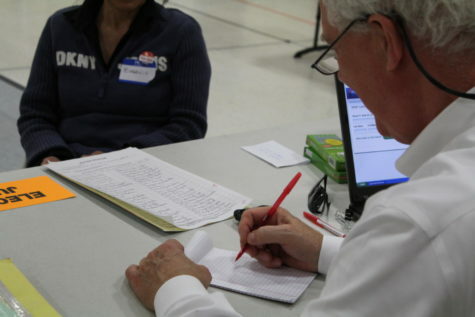 In Lakeside Elementary School, Mockingbird Elementary School and Cottonwood Creek Elementary School, Coppell residents gathered to vote on seven amendments to the Texas constitution. Coppell city residents visit Lakeside Elementary School Tuesday afternoon to vote in a city election for Constitutional amendments. Having such local elections gives citizens the chance to induce a direct impact on our democratic government. These amendments include exemption on property taxes for partially disabled veterans and family of veterans, expanding the definition of a professional sports team so that sports teams can host charitable raffles and give property tax exemptions for the spouses of first responders who died in the line of duty. Many Coppell residents felt grateful for the chance to be able to have a voice in their country’s decision-making, with the knowledge that many other people in other countries do not have this opportunity, and chose to take advantage of it. The unofficial voting results showed that, for Coppell precincts, 2801-2809, 1,647 ballots were cast out 26,220 registered voters. For the results of each amendment, check it out here.